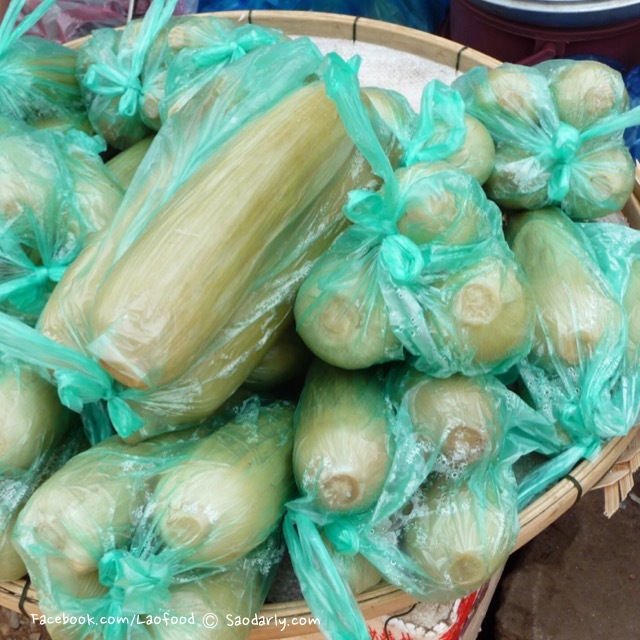 Buying a few bags of corn at Kok Pho Market in Vientiane, Laos. 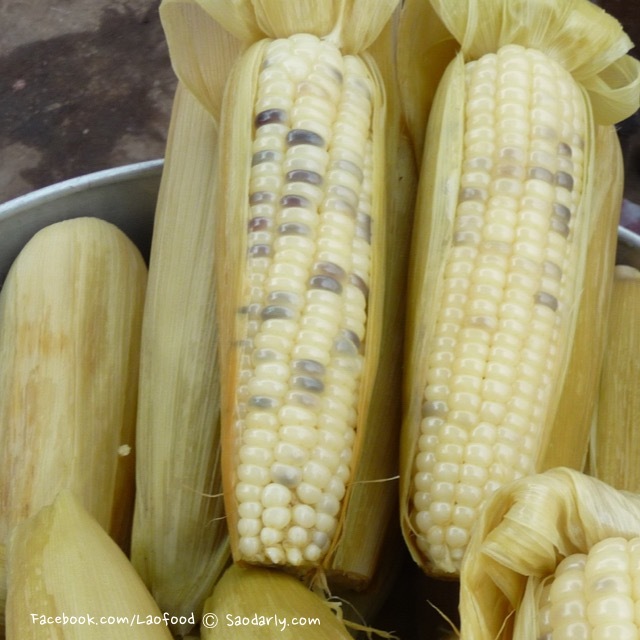 We were there for morning grocery shopping and thought corn would make a great snack until lunch. 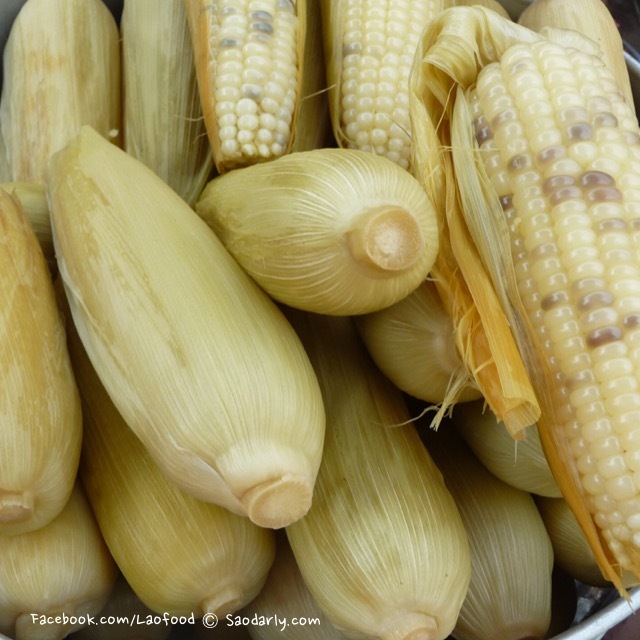 This type of corn is really sweet and good plain or makes a great dessert with coconut milk and palm sugar syrup (Nam Varn Mak Sali).